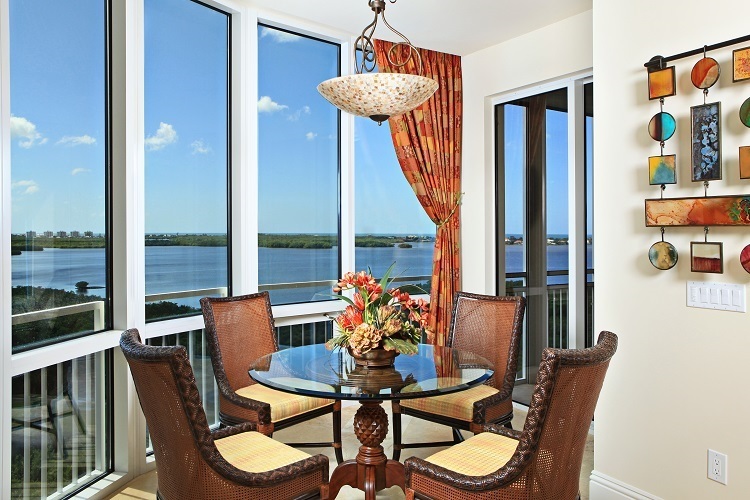 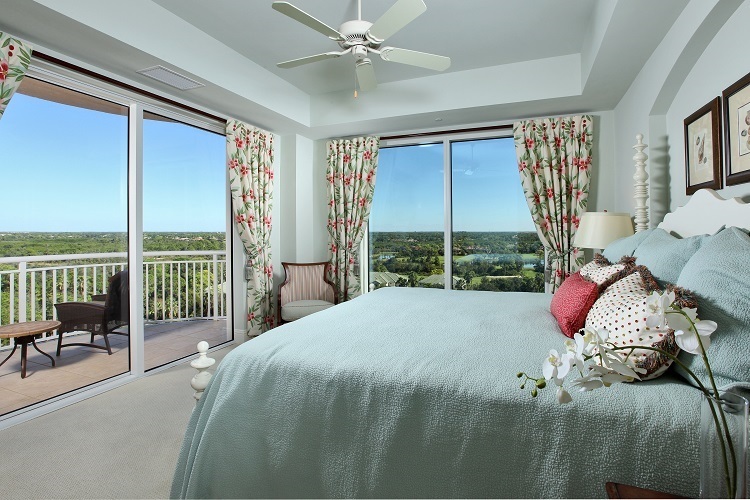 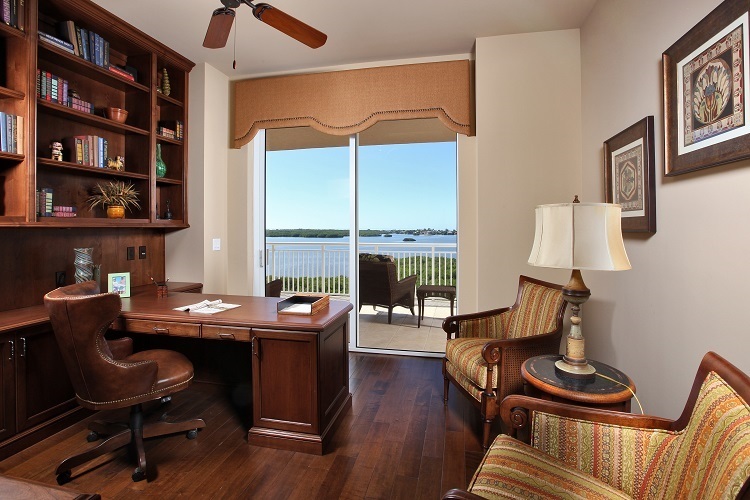 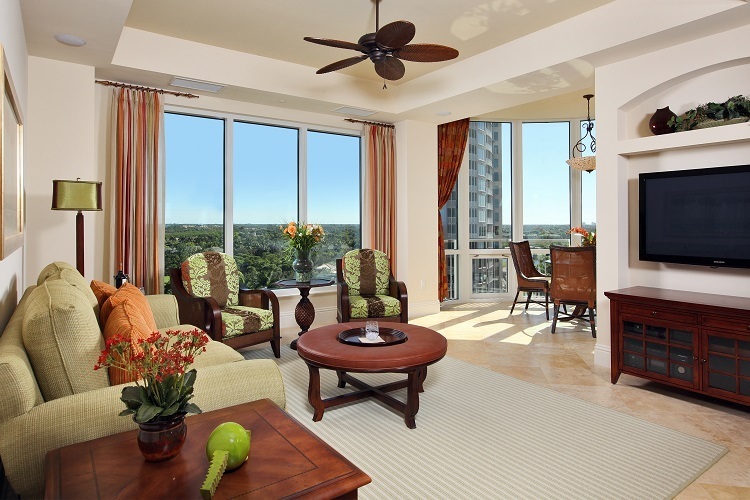 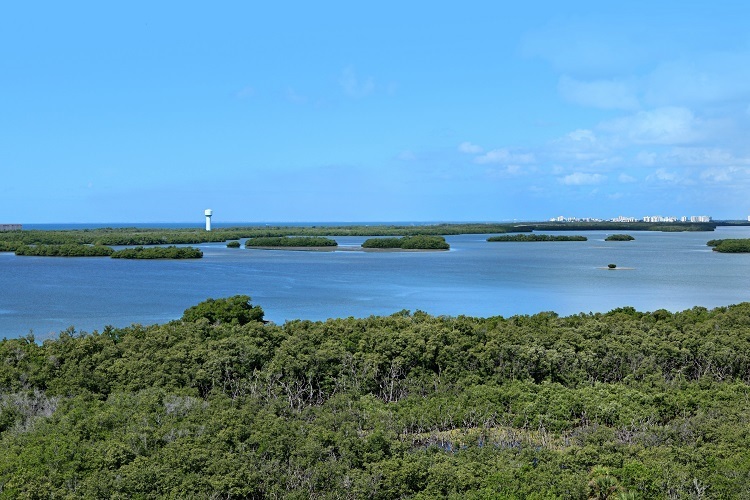 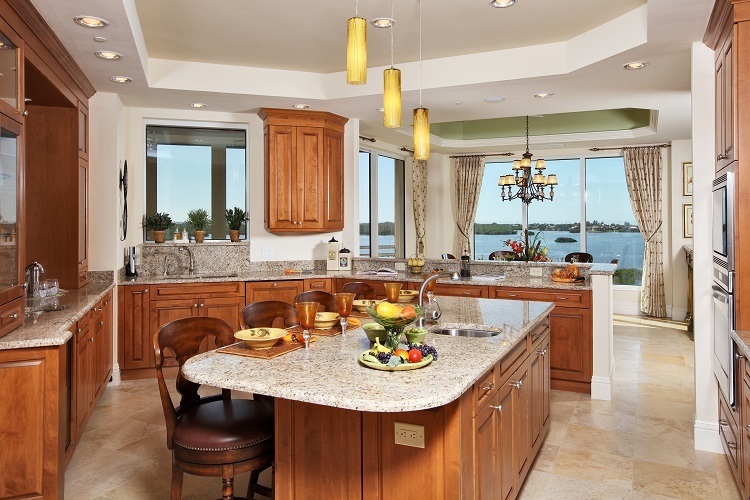 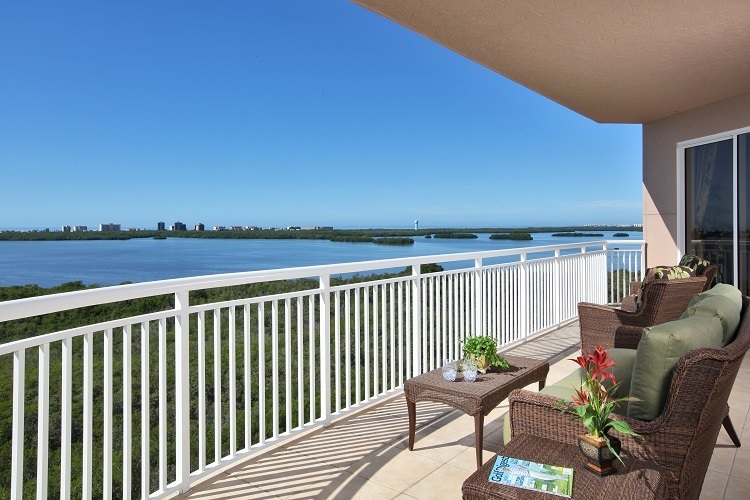 Stunning views of Estero Bay and the Gulf from this 9th floor residence. 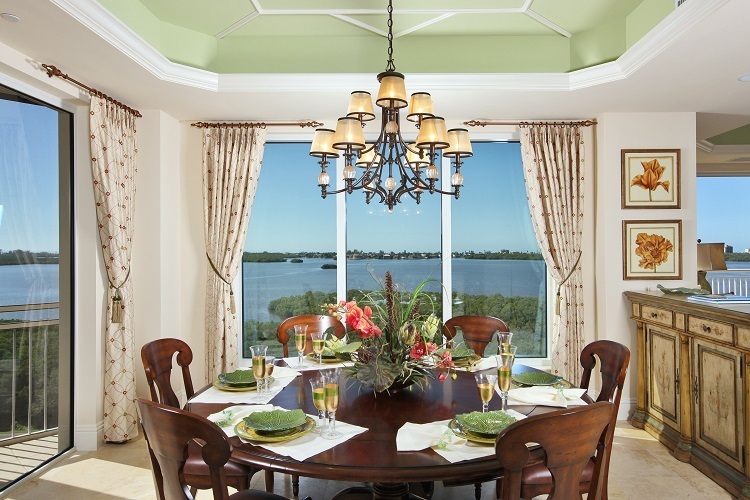 Designed by Collins & Dupont, this former model has a transitional design concept with tropical influences in the color palette and accessories. 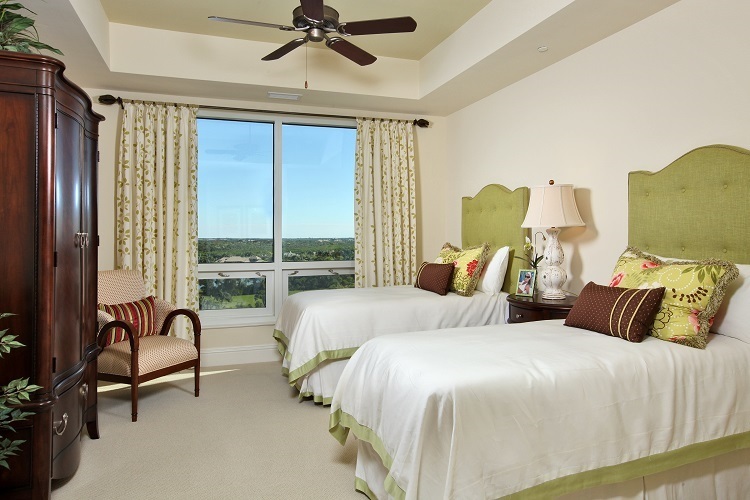 The hues throughout the home are lime, paprika and shades of yellow accented by crisp linens. 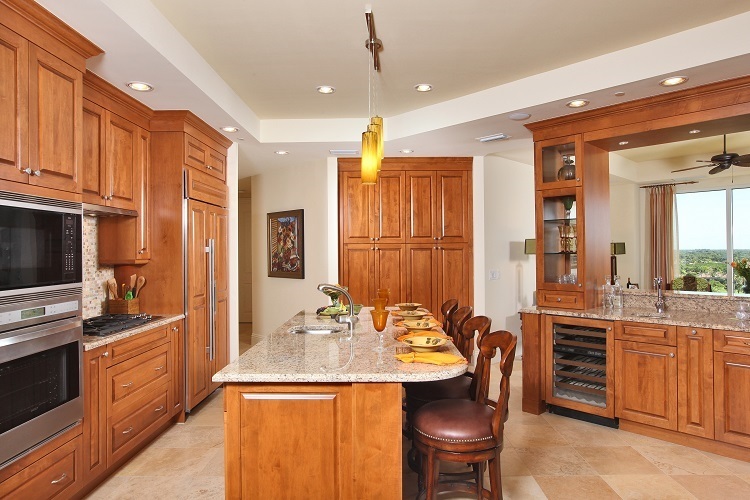 Features include a custom designed walk up bar in a warm nutmeg finished maple wood and glass front pass through doors to provide function and storage, fireplace and a built-in electric grill and sink on the screened terrace. 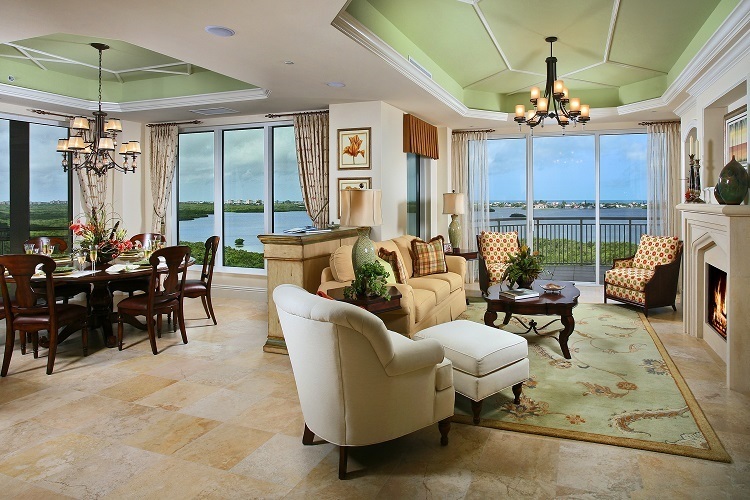 A private garage is included. 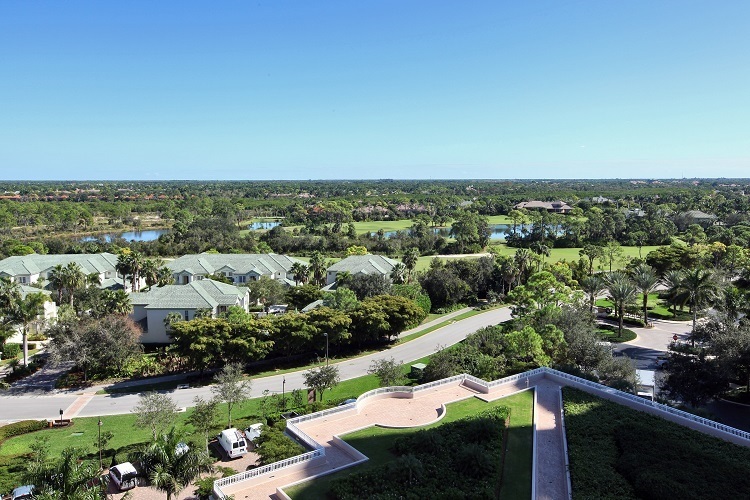 Experience all that the new Bonita Bay offers with access to a private golf club w/five 18-hole golf courses, state-of-the art fitness & tennis facilities, private marina, beach facilities, miles of biking & walking paths, parks & more.